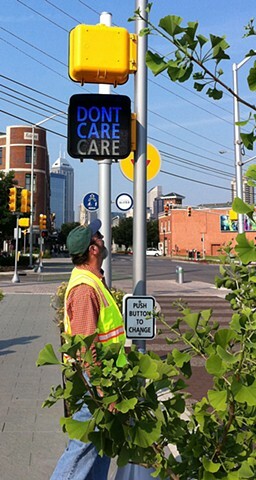 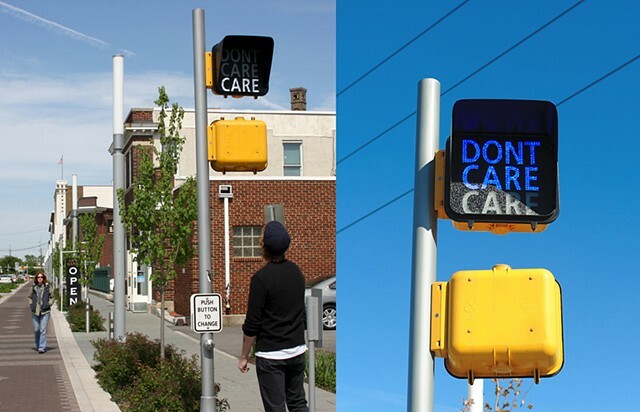 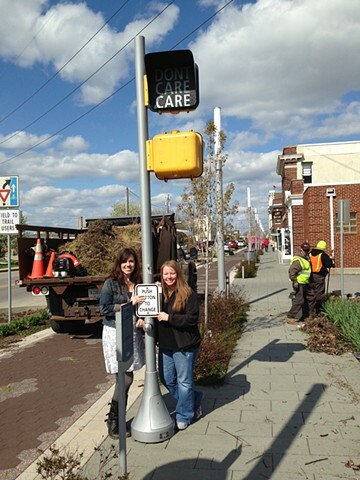 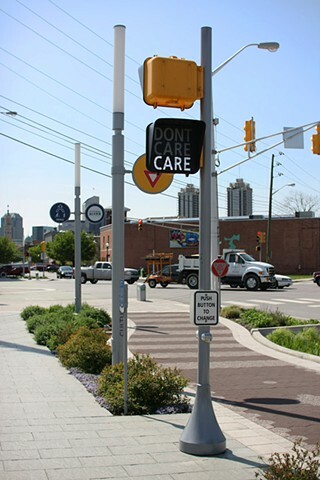 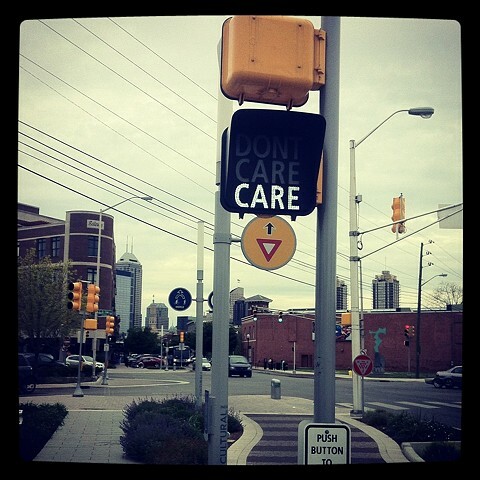 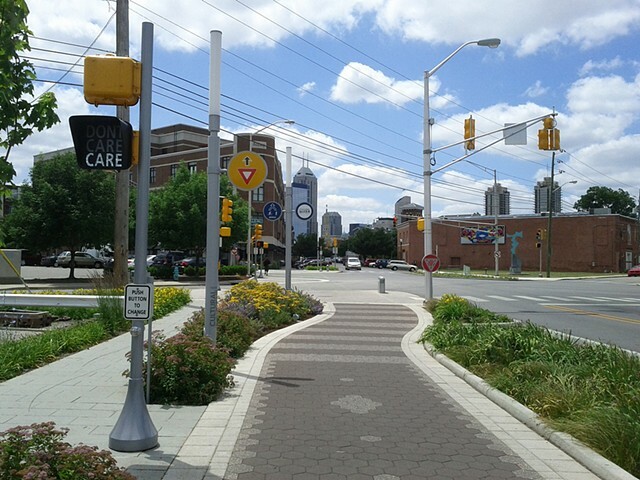 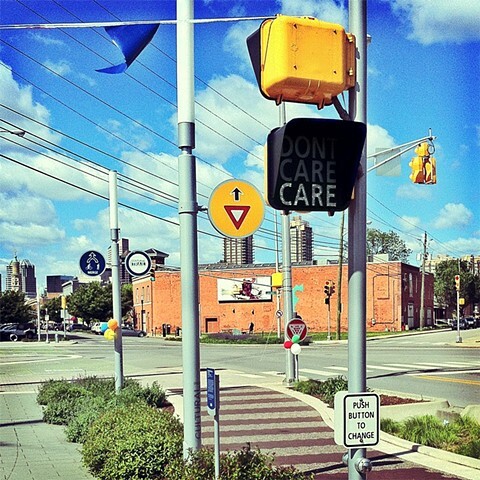 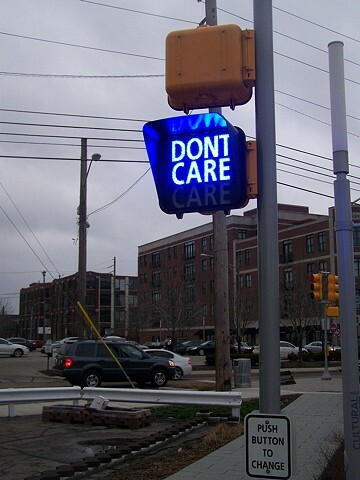 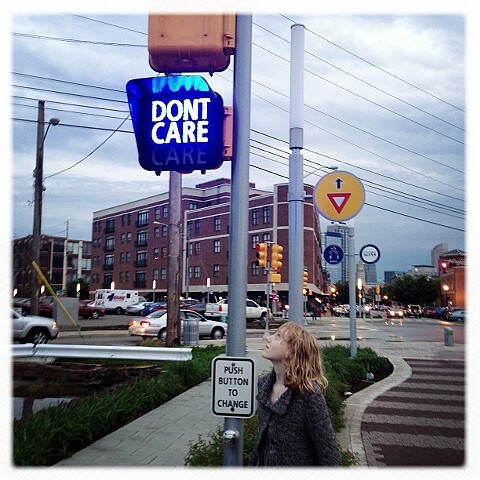 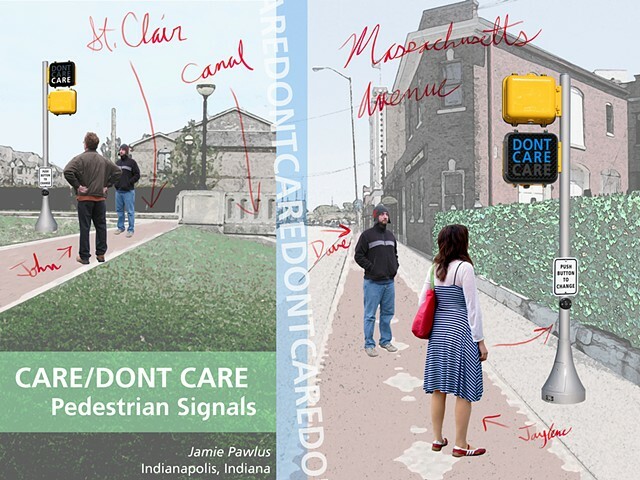 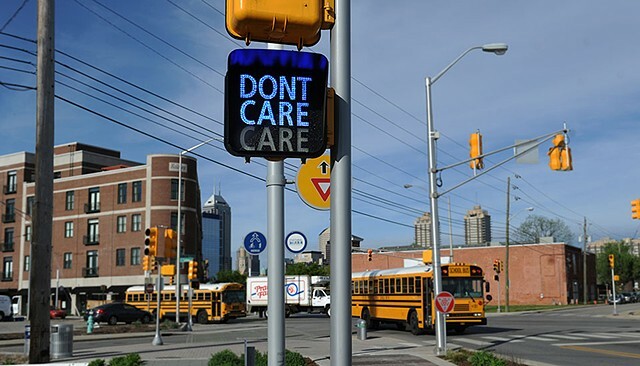 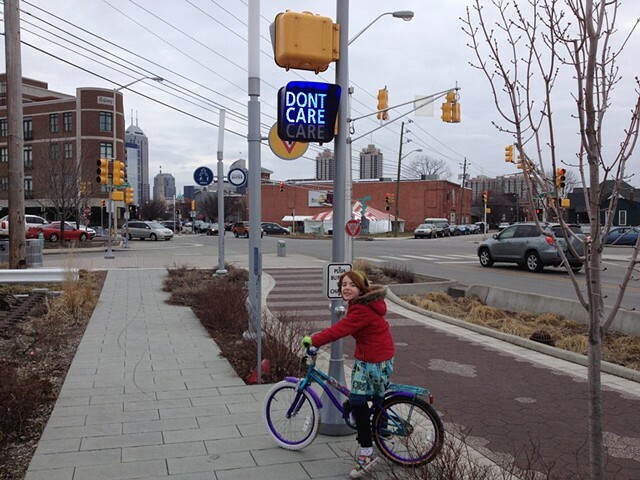 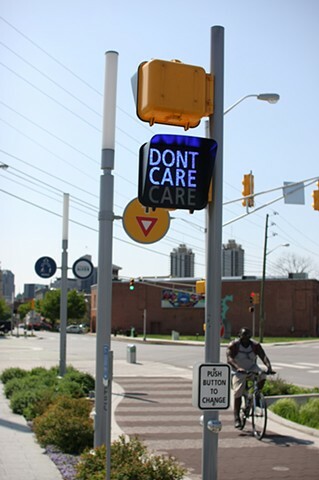 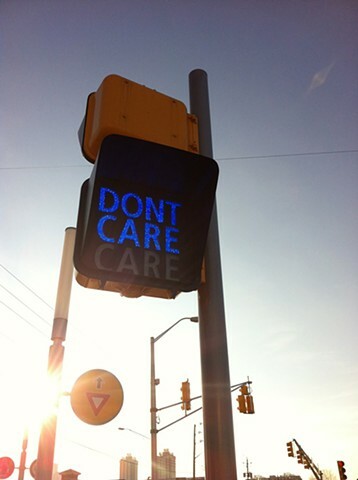 Sited along the Indianapolis Cultural Trail, the Care/Don't Care pedestrian signal invites trail users to pause and consider their options. 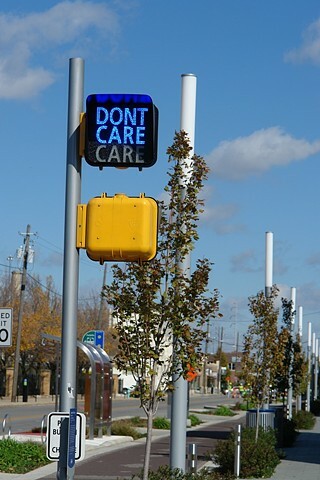 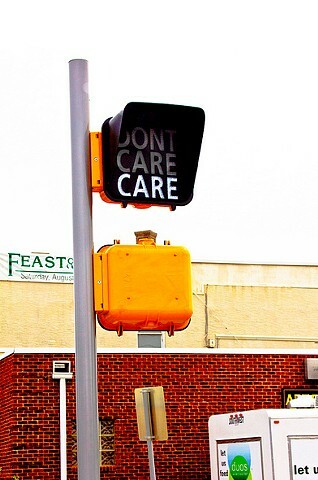 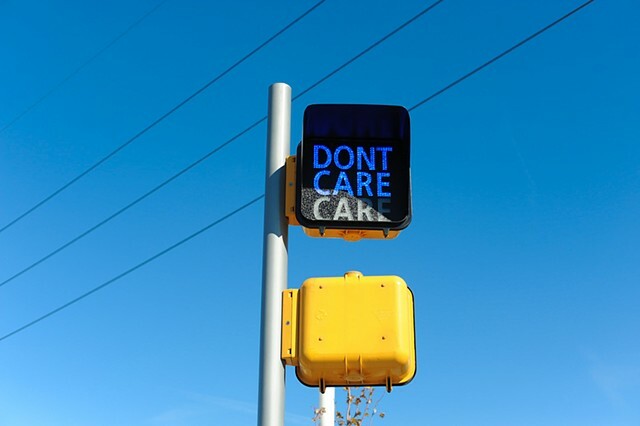 The message “Don’t Care” is programmed to change to “Care” automatically and at random intervals; it can also be changed manually if trail users push the button. 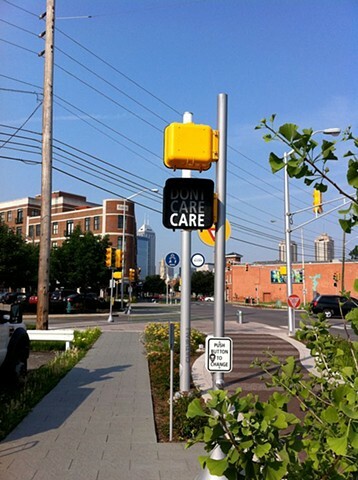 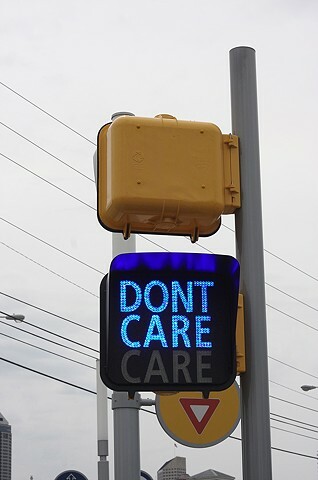 The Care/Don’t Care signal is placed for use by those continuing along the trail, as opposed to a traditional pedestrian crossing sign that is located near intersections.